ComEd serves 4 million electricity customers throughout Northern Illinois, including the entire Chicago metropolitan area. ComEd is part of Exelon, one of the largest utilities in the U.S.
Ameren serves 2.4 million electric and 900,000 natural gas customers throughout Illinois and Missouri. 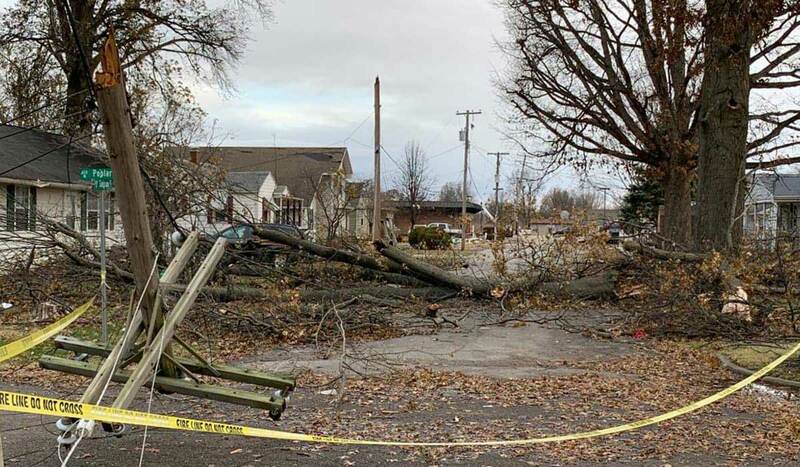 When an EF-3 tornado devastated Taylorville, IL, and surrounding areas, ComEd and Ameren needed to repair and replace dozens of downed and damaged structures to restore power to more than 2,500 customers. After a recent thaw and more than an inch of rain from the tornadic storm, the fields were muddy and exceptionally soft. Sterling received the initial call at 10 a.m. on a Sunday requesting matting, labor, and equipment to create temporary access roads and platforms that would allow crews to restore power quickly and safely. To avoid dragging equipment through the mud, TerraLam was used to create temporary access roads to the downed structures. This would prevent unsafe working conditions, equipment damage, and exceptionally slow work. 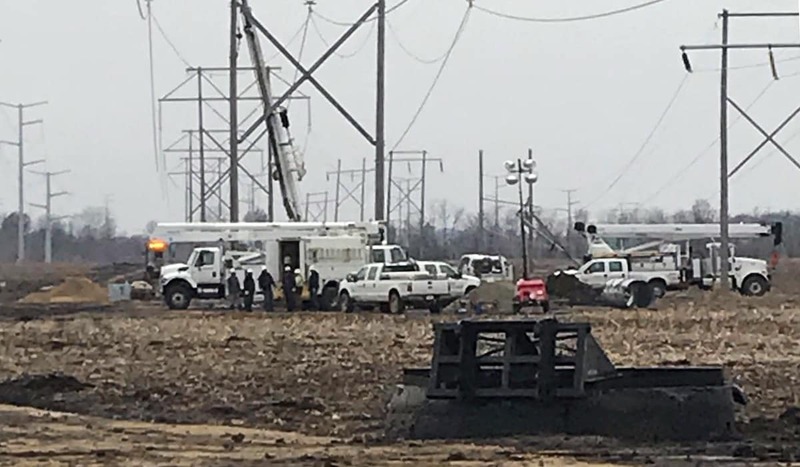 Within 30 minutes of the initial call, a matting plan and preliminary estimate was approved by ComEd, and the Sterling team began mobilizing crews and staging trucks. By noon, crews were on their way to Taylorville with equipment and mats. 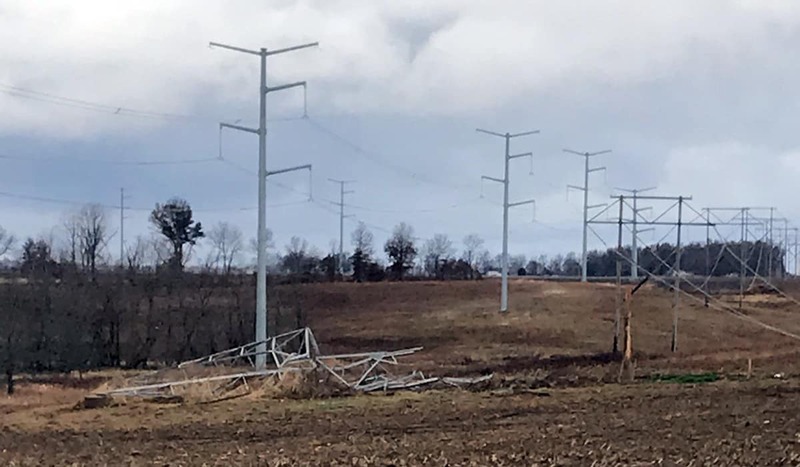 Upon arrival, only six hours after the initial call, Sterling crews worked through the night until ComEd was able to gain access to their downed structures. TerraLam CLT (Cross-Laminated Timber) mats were critical to getting the mat road in place quickly. With the efficiencies afforded by using TerraLam mats, Sterling crews were able to install access roads in the right-of-way quicker than other matting products. Because of their relatively lighter weight, Sterling was able to load more mats on a truck and get 4,000+ mats shipped and installed on the right-of-way in short order. Ameren was also on-site assessing and repairing the damage to their transmission lines that ran parallel to ComEd’s. Seeing an opportunity to create efficiency for both utilities, Sterling developed an access plan around a shared road. This meant that Ameren could begin working quickly which also presented a significant cost savings for ComEd and Ameren. By doing what is best for the customer, Sterling created a true win-win for the utilities. Within hours, Sterling built platforms out to Ameren’s damaged structures from the shared access road. Because of the exceptionally wet and muddy conditions, ComEd and Ameren requested Sterling crews develop a plan to keep the mats clear. Sterling teams remained on-site during working hours to provide continued site access support by cleaning and maintaining the working areas and installing more mats as they were needed. Because Sterling has the products, people, and experience ready to respond to any emergent request, ComEd and Ameren restored power within 48 hours and completed the work within 10 days. With the unique situation of a shared access road, both utilities saved time and money while quickly restoring power. “Sterling stepped up to the challenge when called upon, and it is another job expertly done,” said the ComEd Supervisor for this project. TerraLam CLT mats allowed the Sterling’s logistics team to coordinate more than 125 shipments to move the 4,000 TerraLam CLT mats to Taylorville in a relatively short time frame. Using the lighter and faster to install TerraLam mat, Sterling saved ComEd and Ameren tens of thousands of dollars in freight, labor, and equipment costs.